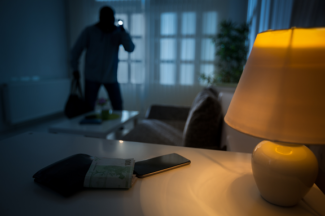 Burglaries in the Redlands – Is your home safe? In recent weeks Redland’s residents have been waking up to intruders in their home! Cleveland, Wellington Point, Ormiston and Birkdale have all been targeted. Most of the burglaries have occurred between midnight and 6am, when most of us are in our deepest sleep. Cash, jewellery and a car have been stolen so far. The Redland City Bulletin reports that the thieves gained entry by smashing windows and breaking locks, including upstairs doors and windows. This means that simple deterrents may not be enough to stop your home from becoming a target. Due to these recent burglaries now is a good time to check your home’s security. We have reliable and affordable systems to keep intruders out! We install alarms, security camera’s, CCTV, intercoms and monitoring systems. If you have an existing system in need of a check up we also do repairs. Mention that you’ve liked us on facebook and receive a discount!